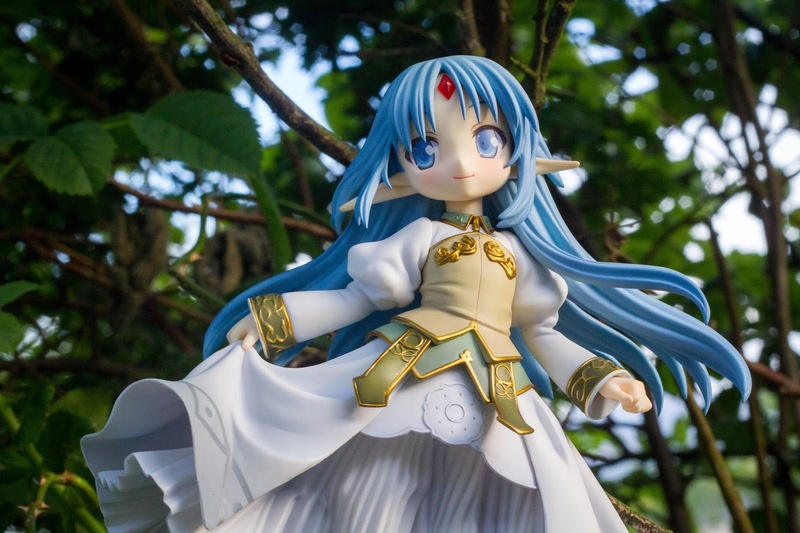 Recently, I've went to Tanygrisiau, North Wales for a geological fieldtrip. 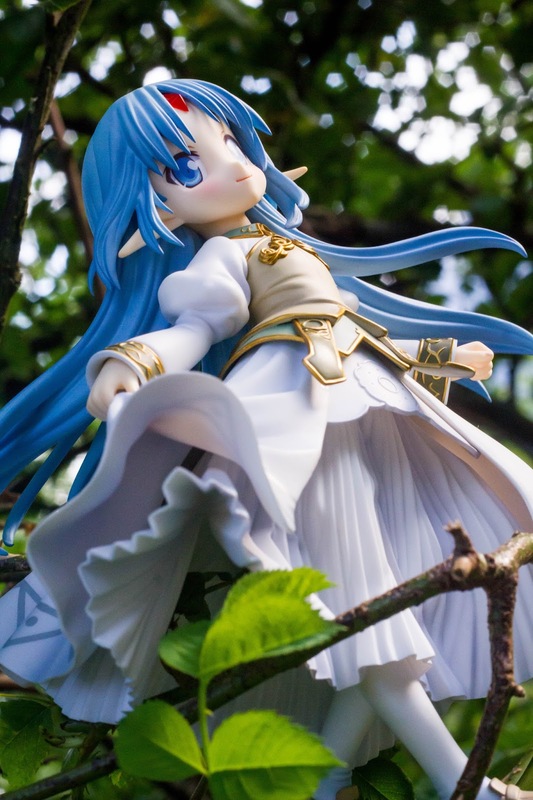 I've decided that I might as well take one of my figurine to have a nice photo session. 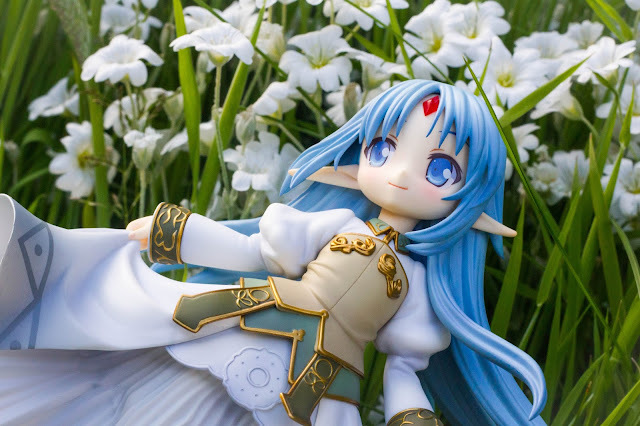 Unfortunately, the harsh weather atop the mountains prevent me to took Reset Kalar for a nice trip up there. I've decided to travel to a nearby meadow and have a photo session of her accompanied by the beautiful greeneries instead. 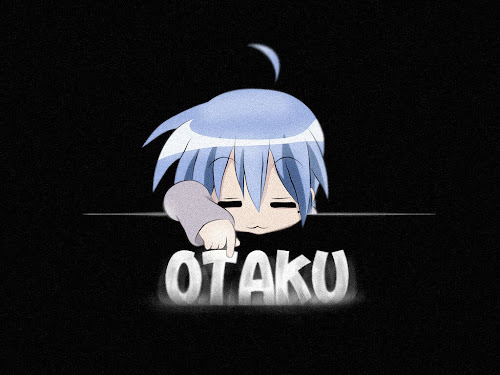 It turned out to be a great idea. Reset beautiful figure compliment very well with the green plants, and as a result I managed to took several lovely pictures of her. 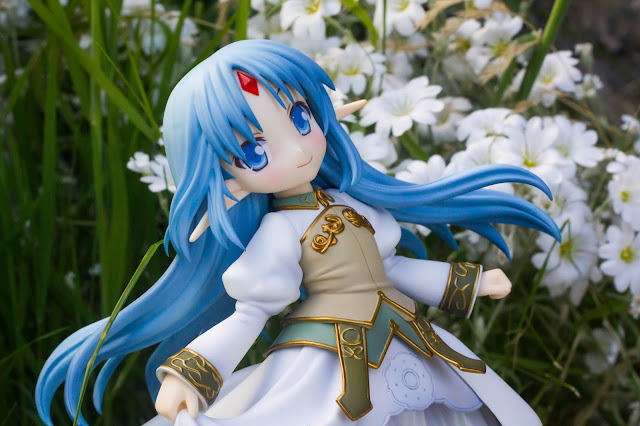 "Alicesoft's most popular female character, finally joining the figure world! 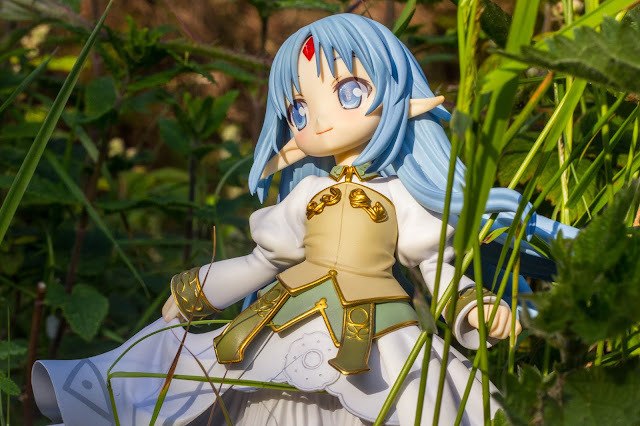 Alicesoft ran a poll on their official website in order to select the most popular female character from their games, with the winner to be made into a figure! 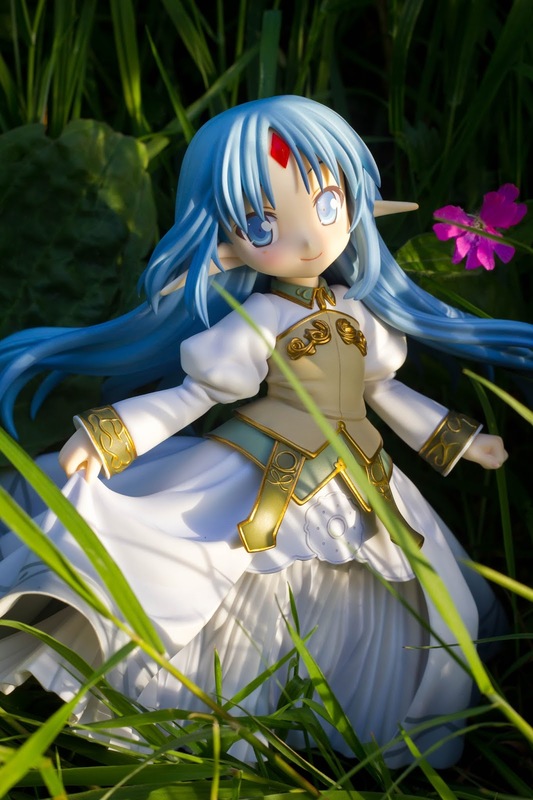 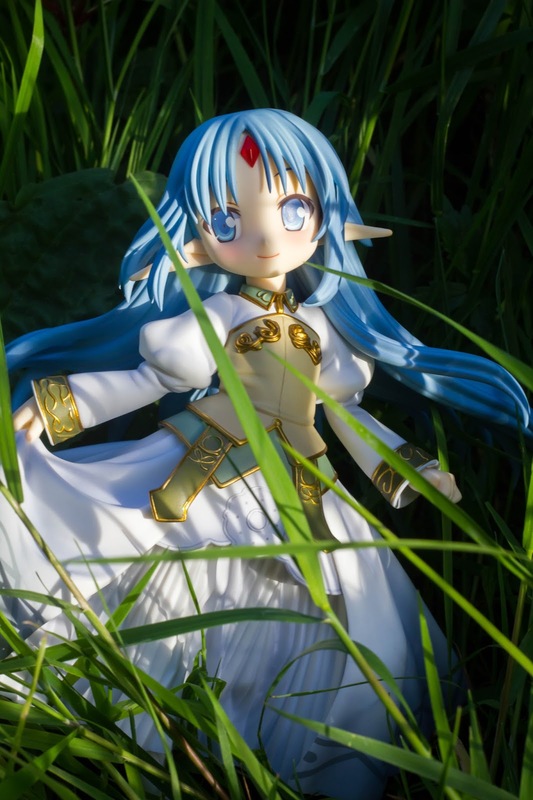 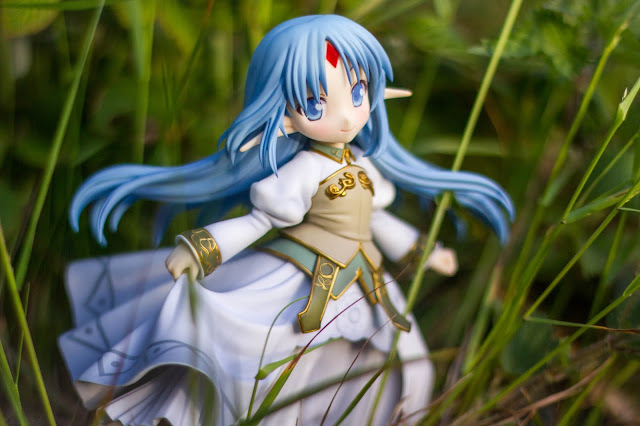 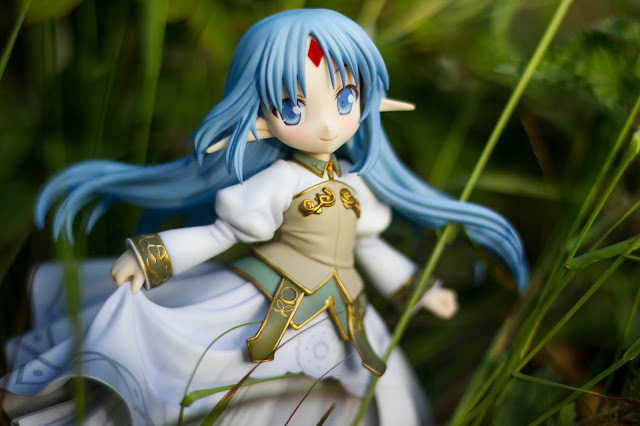 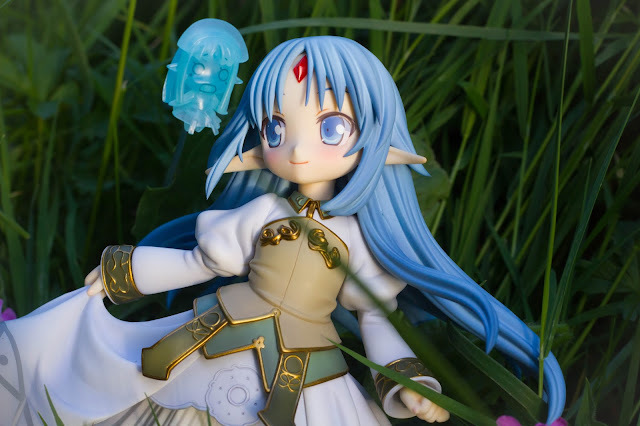 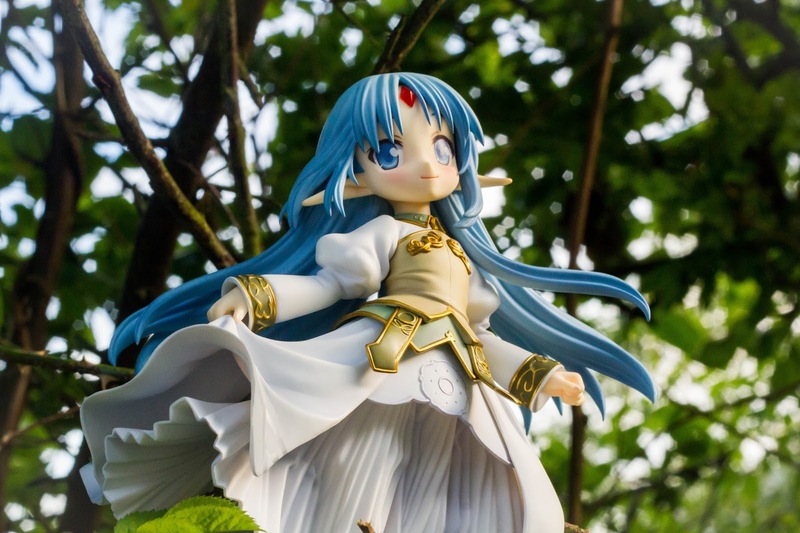 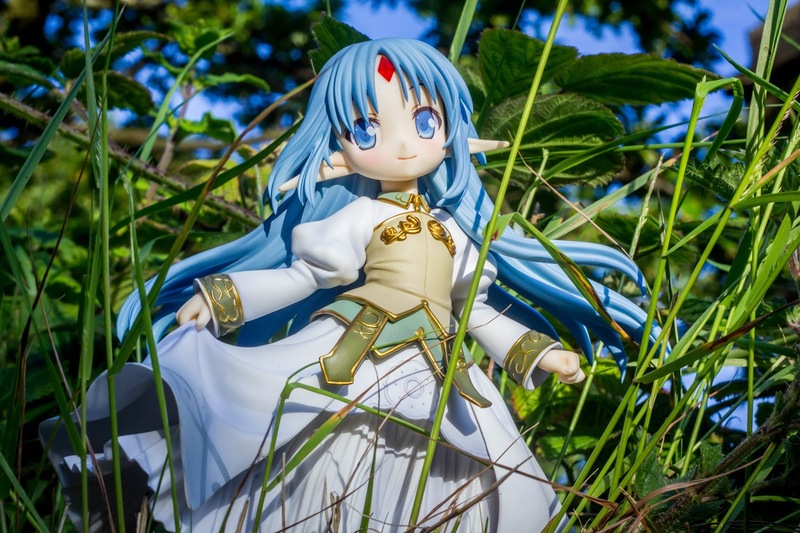 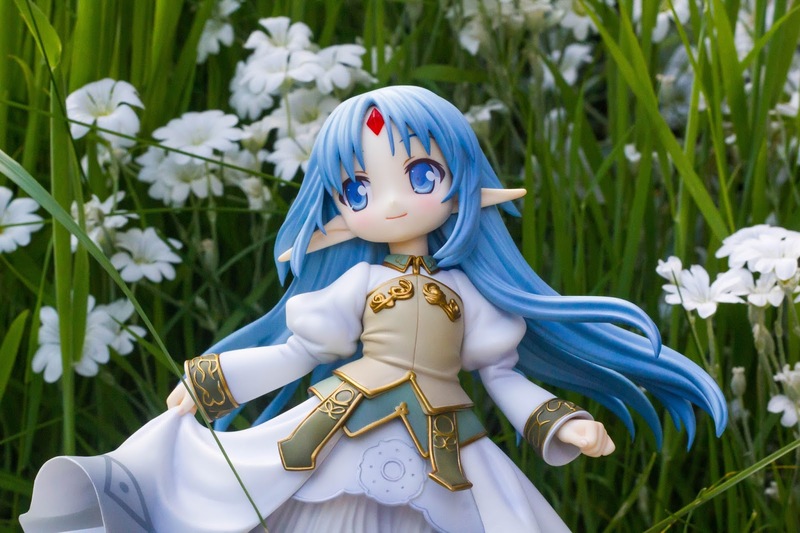 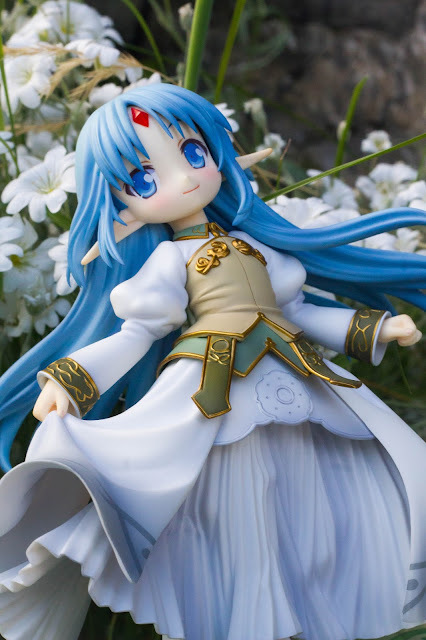 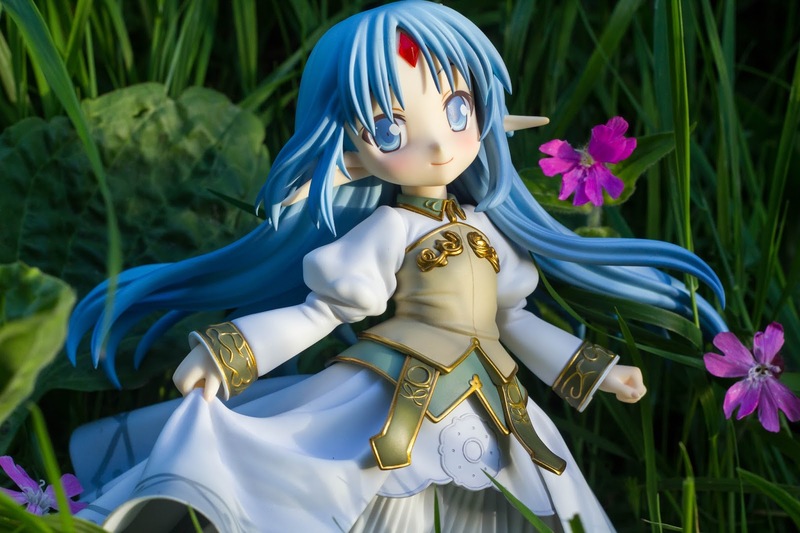 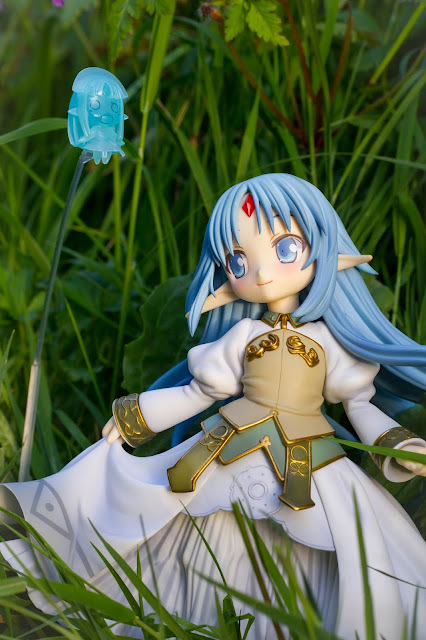 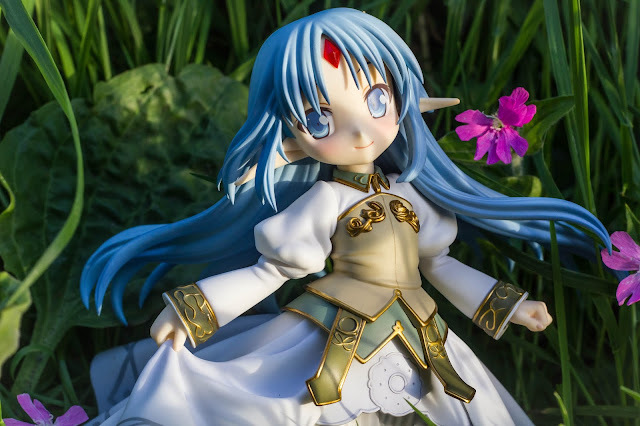 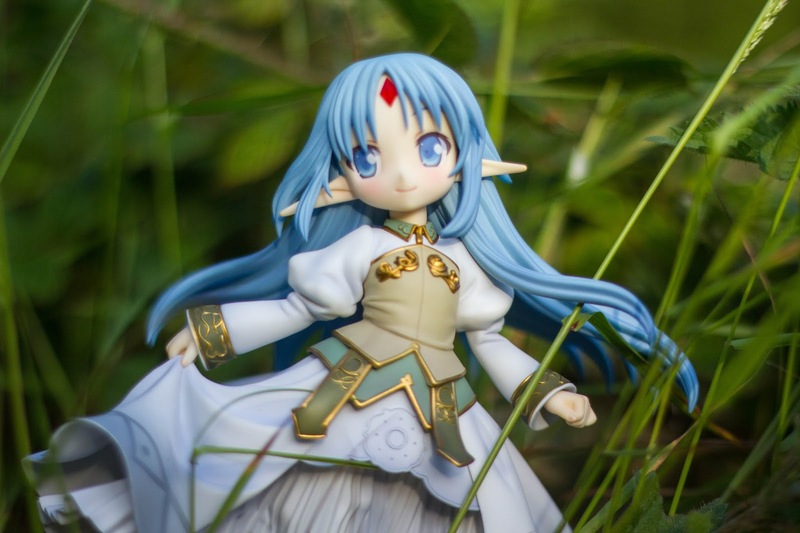 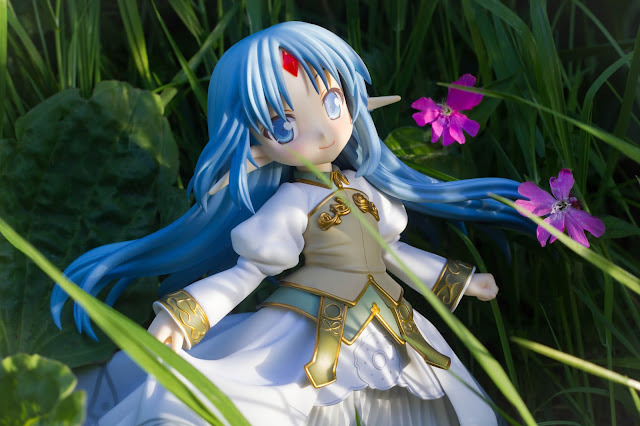 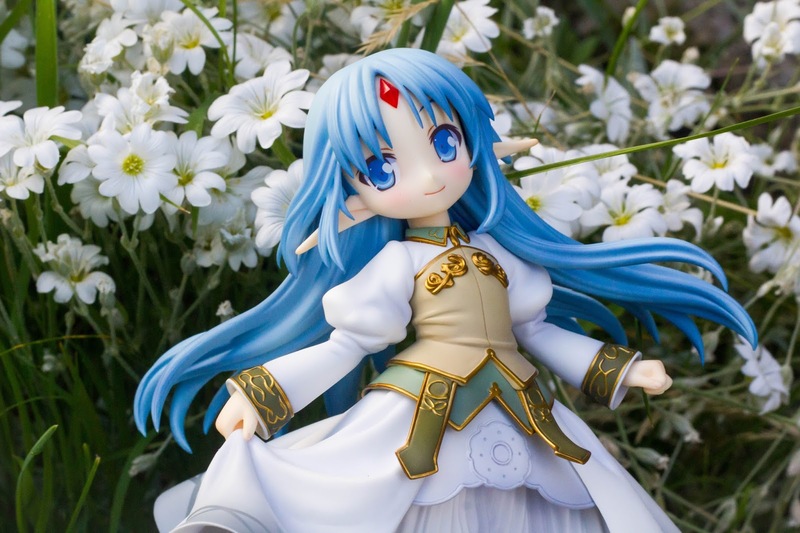 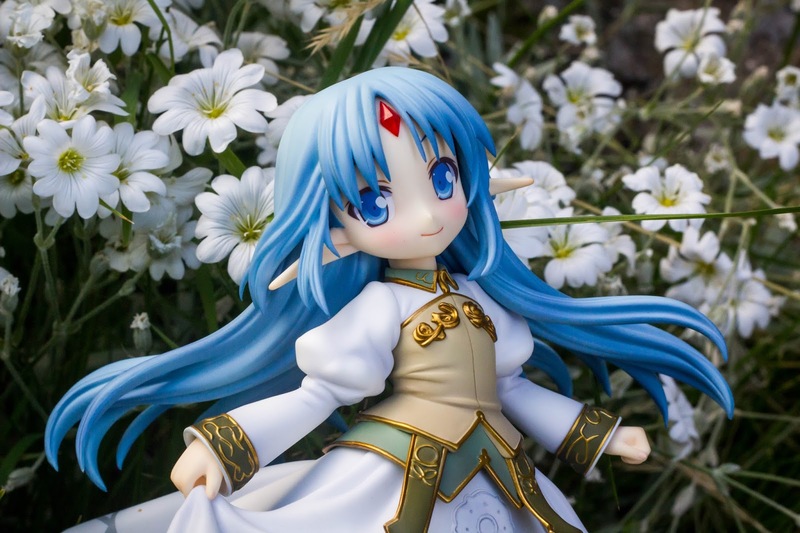 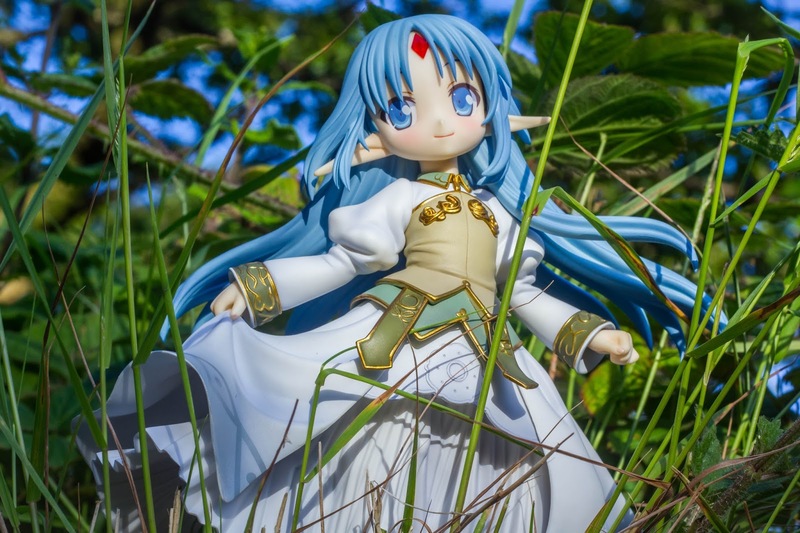 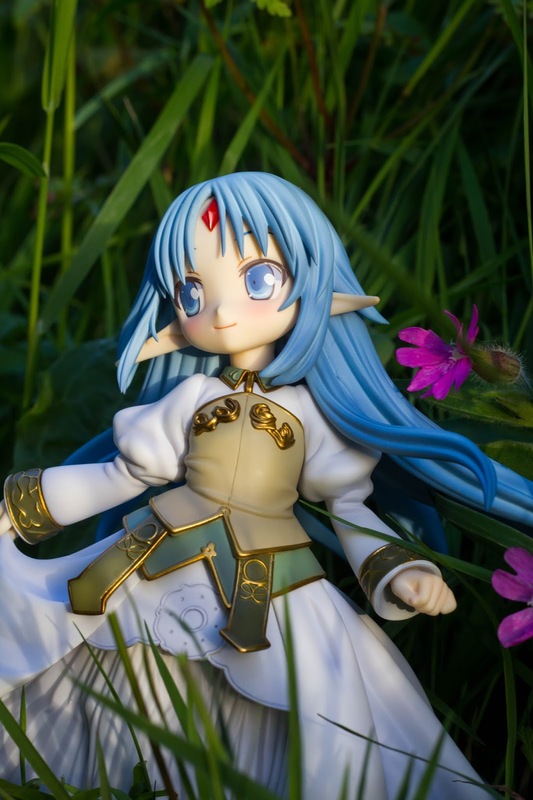 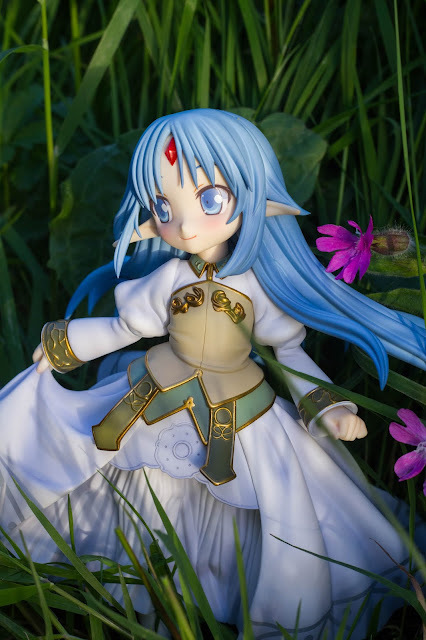 The mysterious Reset Kalar from Rance Quest took first place in the poll, and has now received her prize by being made into this lovely figure! A special illustration by the series character designer, Orion, was made specially for the figure, which has now been faithfully transformed into a figure! She is posed with a cute expression across her face as she runs forward while elegantly holding her dress up. 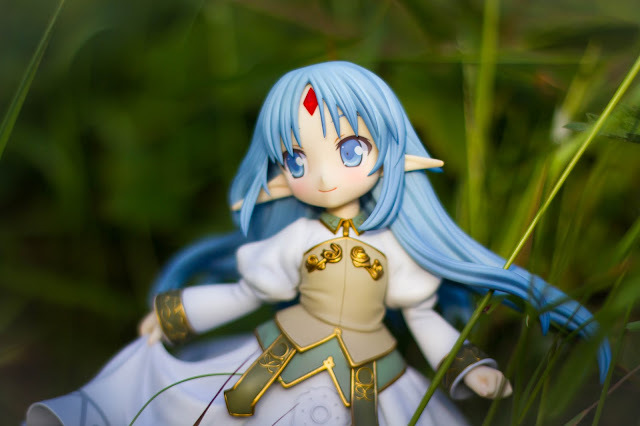 Pasel Kalar, the queen of Kalar, is also included as a small ghost to display together with Reset!" 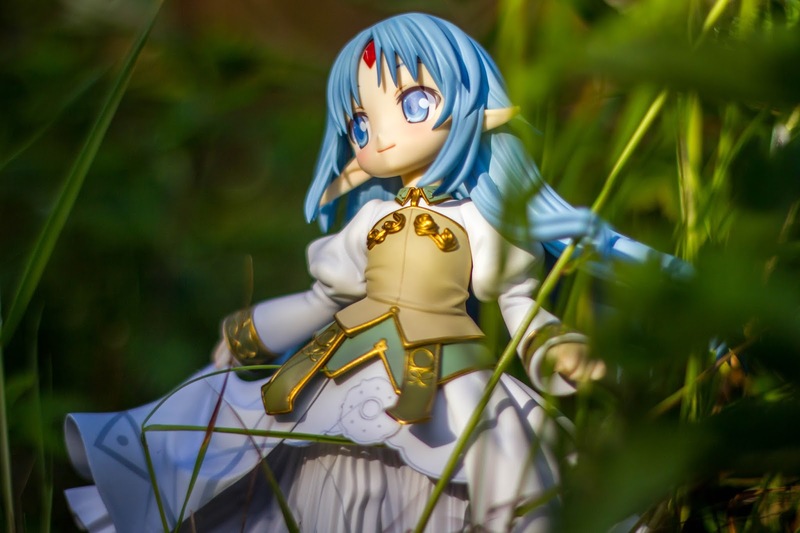 Now then, let's watch Reset happily enjoying the scene of the beautiful greeneries around her.